Sam, an award-winning broker, has a command of the market and a charisma his clients love. For over 10 years, this powerful combination has set him apart in his field as a successful agent who’s not only extremely knowledgeable but extremely enjoyable to work with. 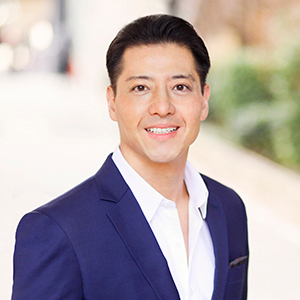 A true Manhattan specialist, Sam takes pride in advising what is best for his clients through his extensive resources and expertise. If you are seeking or selling a co-op, condo or townhouse, whether downtown, uptown, on the east side or west, he will deliver outstanding service to meet your every need. Sam has continually been recognized for his comprehensive service to a wide range of developers, buyers, sellers and renters who trust Sam to handle their transaction with attention and efficiency. Corporate executives trust him to find the best address and apartment for their specific relocation needs, and investors rely on his eye for value to enhance their bottom line and expertly manage their properties. A native of Chicago, Sam attended Boston University, then began his sales career at Giorgio Armani. He also spent several years in IT as a server administrator and consultant, which explains his adeptness with technology. Sam was an account manager for an international import business prior to applying his customer service skills and interpersonal savvy to the world of real estate. Fascinated by the cultural, historical and architectural dynamics of Manhattan's unique and diverse neighborhoods, Sam stays constantly up on the market. He lives in Midtown West with his wife, two daughters and adorable Yorkie. Outside of work, Sam enjoys playing softball on a corporate team, golfing, fishing and travel.